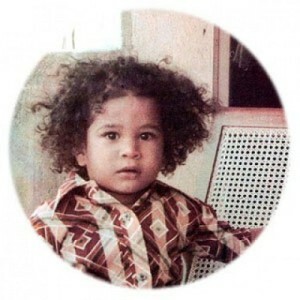 Sachin Tendulkar was born on 24th April 1973 in Bombay, Maharashtra state. 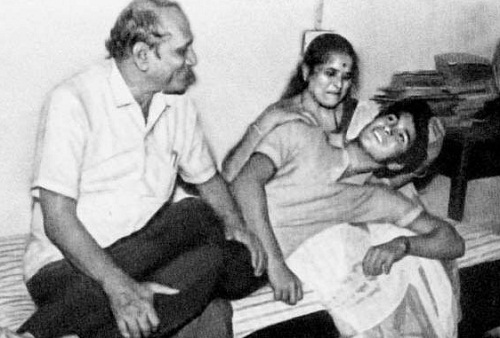 He did his schooling at Indian Education Society’s New English School, Bandra and Sharadashram Vidyamandir High School, Dadar. 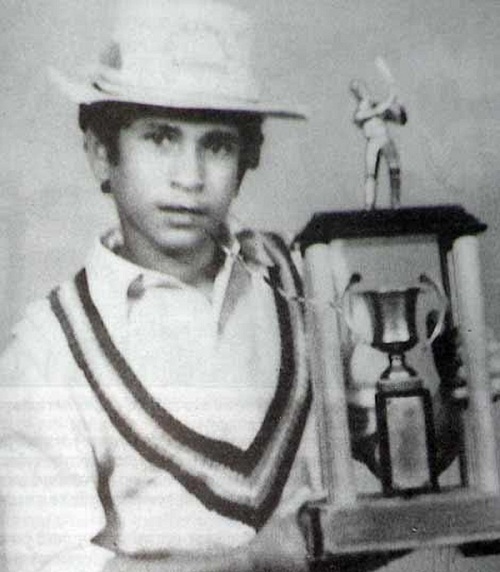 During his school days he used to play tennis and later developed interest in cricket. 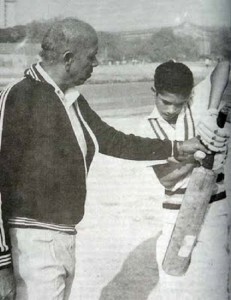 He was coached by famous cricket coach Ramakant Achrekar at Shivaji Park, Dadar where he used to practice for hours. 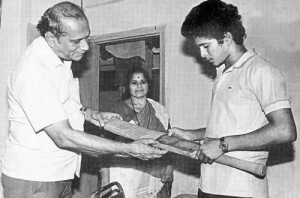 Sachin started his professional cricket career by playing for John Bright Cricket Club, Mumbai and later joined Cricket Club of India. 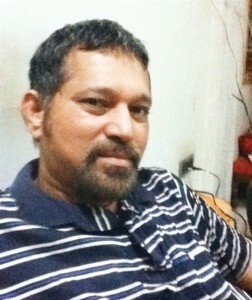 His First-class cricket debut was in 1987 playing for Mumbai in Ranji Trophy. 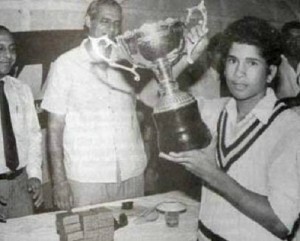 In 1988 he played for Mumbai against Gujarat and scored 100 and became the youngest Indian to make century on his first-class debut. 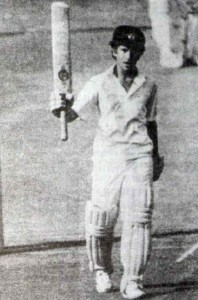 His International career debut was Pakistan tour in 1989, his test debut was in the same yeas against Pakistan. 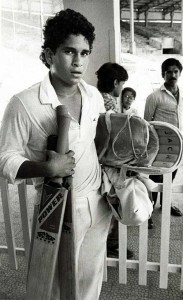 He rose to fame after making his debut ODI century of 79 balls in 1994 against Australia at Colombo. His career took boost after playing in 1996 World Cup, where he scored two centuries. Tendulkar also served as captain of Indian team for two tenures but it was not a successful skipper career. His team performed poorly during his captaincy and he resigned to his captaincy in 2000, Sourav Ganguly was given the captaincy. Sachin scored 482 runs with average of 53.55 during 2011 World Cup and was the highest scorer of Indian team. 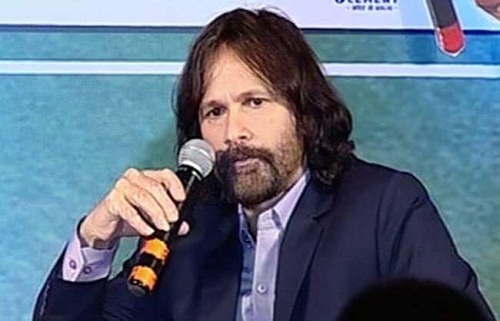 He said “Winning the World Cup is the proudest moment of my life. … I couldn’t control my tears of joy.” He played for six World Cup tournaments for India during his decades long career. He retire from all forms of cricket in 2013. He holds the record of scoring more than 30,000 runs in all forms of international cricket. He also holds record of highest number of centuries in both Tests (51) and ODIs (49). 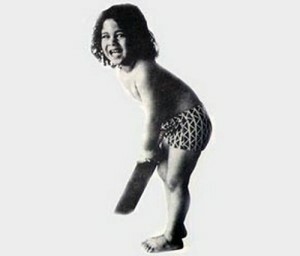 He also holds the record of playing the highest number of Test matches (200) and ODI matches (463). 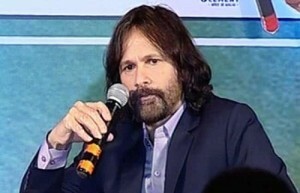 Considering his contributions to Indian cricket Tendulkar was honored with Arjuna Award in 1994, Rajiv Gandhi Khel Ratna award in 1997, Padma Shri award in 1999, Padma Vibhushan award 2008 and Bharat Ratna award in 2013. He was nominated to the Rajya Sabha in 2012. He was born to Ramesh Tendulkar, a popular Marathi novelist and Rajni, who worked in insurance. 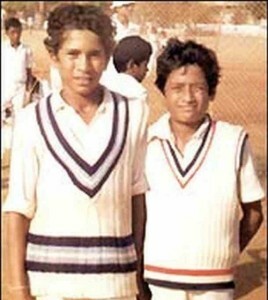 He has two elder half-brothers named Nitin and Ajit, born to his father Ramesh Tendulkar from his first marriage. 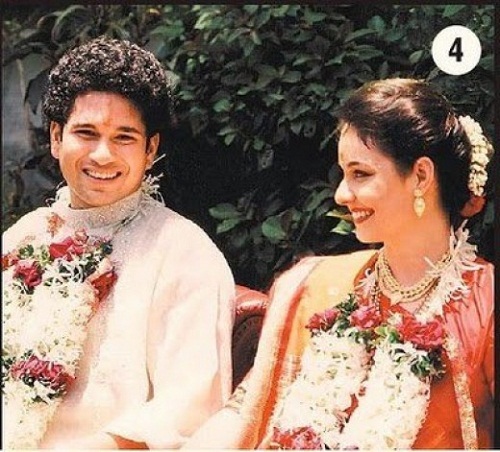 He has an elder half-sister named Savita, born to his father Ramesh Tendulkar from his first marriage. 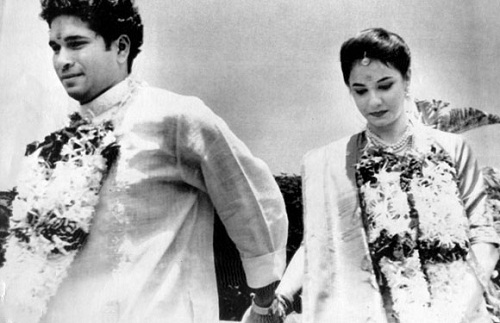 Sachin Tendulkar is married to Anjali, a paediatrician since 24 May 1995. 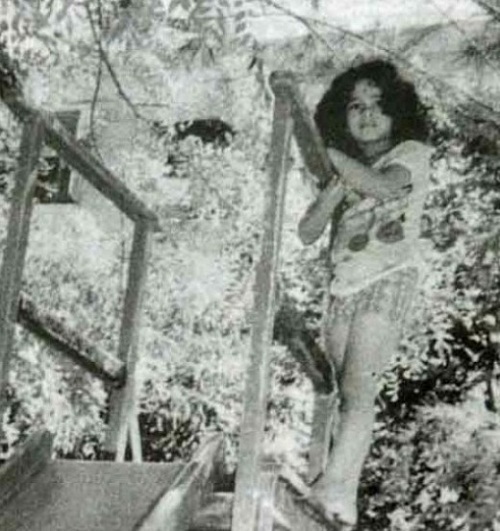 Anjali is the daughter of industrialist Anand Mehta and Annabel Mehta, a social worker. Anjali is six years older than him. 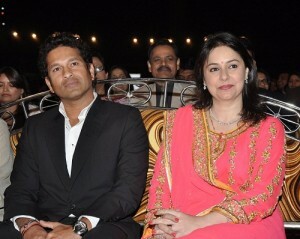 The couple gave birth to two children Sara born in 1997 and Arjun born in 1999. 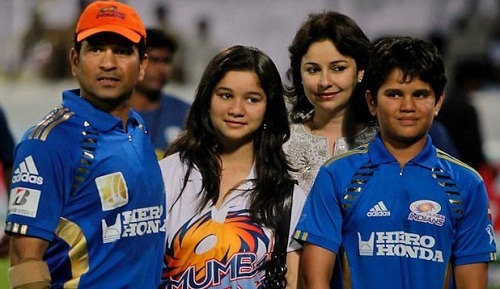 His son Arjun is a left handed batsman.